Search Engine Optimization is a process to achieve better rankings on search engines. The visibility of the web page highly impacts the SERPs (Search Engine Result Pages). So, it becomes essential to present well to leave great imprints on user’s mind and bad web design is influencing SEO of your website. Though inbound linking and definitive keywords play a vital role in SEO, web designing can’t be ignored and always be considered as one important aspect. It plays a significant role in your website’s search rankings. In this article, I’ve shared a few points to consider throughout your website design process. Most of the companies get trapped in a perplexity while creating a website. The issue arises when they find it difficult on how to design a website. Whether to keep it unique in the looks or make it easily searchable? Rather, an equal balance should be maintained while designing a website. Both the attributes are important for building user engagement. 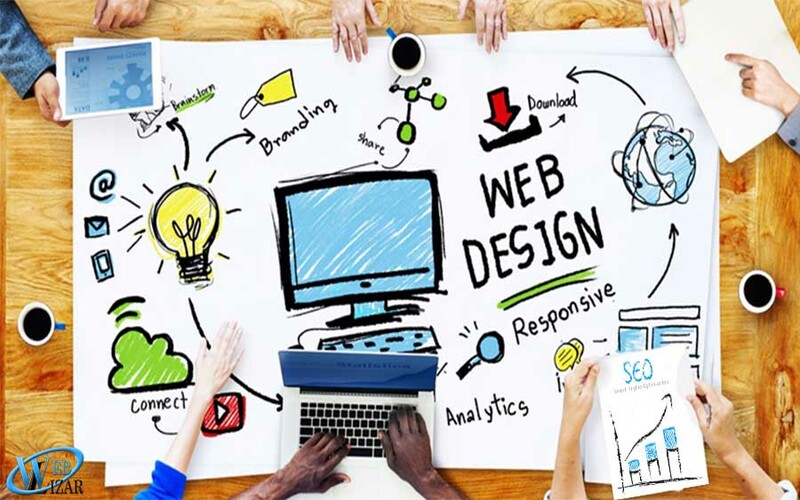 So, the designing of a website should be good-looking that attracts more viewers and also keep it easy-to-use which would help you in getting more and the right traffic. While designing a website, it is important to select a perfect theme that drives more traffic. There are many styles available, but only some of them give a positive impact on your website. Here are some of the most trendy web design styles. We all know how appealing are the info-graphics. As it attracts a lot of attention to the site, many brands adopt the graphic-heavy styles in their website. Infographics may be visually engaging, but you should take into consideration that Google and other search engines can’t read images. Furthermore, larger infographics would take more time to load a page, and the search engine algorithms do not prefer the slow loading websites and web design is influencing SEO badly. The most contemporary web design used to achieve success in your SEO efforts is Parallax design. This style is adopted when an entire website is built on a single page. Usually, it creates an illusion of the depth through the background image with definite, precise and crisp drop down menus that navigate to another page. Visually, parallax style is way more appealing, but search engines face an issue to get the clear idea of the website. Due to this reason, your potential reach diminishes as the search engine indexes only a few pages. If your site has a lot of content, varied products, and services, then it is recommended to go for other web design styles. As the name suggests, this style is implemented for the content to flow flawlessly by scrolling till the bottom of the screen. The outcome of scrolling down the page is an unending stream that continues to grow with the user action. To get the best example, you can take a glance at Pinterest, Facebook, Twitter. These popular social sites incorporate infinite scrolling web design to provide continuous information on the news feed. Unlike parallax design, this style won’t take extra time to load your web page. An approach to designing a website in such a way that it allows to respond viewing in any screen size. It is the most acceptable web design and so, it is considered as an ideal style for SEO purposes. This style of web design is valuable for SEO, as it reduces the company’s efforts in developing a separate website for each device. This style maintains a consistent user experience. After learning the trendy web design styles, it is essential to consider important aspects while selecting a perfect web design for your site. Here are four important points to be kept in mind. “Simplicity is the ultimate sophistication” the quote perfectly goes with web page designing. When your website is simple enough for any user, you’ll manage to engage higher traffic to your website. Designers would bring you a new idea of investing in the latest and trendy layout, but you need to keep in mind the user experience too. There are many website builders available, but not all are created equal. Some of them will offer you plethora of unique design templates and responsive design options, while others might only have a few templates to choose from and no responsive design capabilities. It is always recommended to do your homework and research carefully comparing all the available options before honing in on a website builder since bad web design is influencing SEO and we all know that. Remember, it’s not the aesthetics of your website that the search engines are looking at, it’s how helpful do users find it to use. Google won’t penalize you for a weird looking design, but they may penalise you if the users aren’t able to navigate through and immediately turn back from your home page. So, design a website perfectly and reduce the bounce rates. The size of web page chiefly affects search engine rankings. As the web page loading time is considered in the rankings, it is important to include limited content on the website. You should take care of what information is added while designing a web page. Avoid unnecessary elements and focus only on the important content. Internet crowd is increasingly rapidly. In this cut-throat competition, it is provided that your website ranks well. In order to achieve higher search engine rankings, web designing should be given equal importance. As designing a website highly affects the SEO results, just go through these points before designing your next project. In short your web design should be appealing to your customer since if you are getting decent traffic on your website, your SEO campaigns can be put at rest for a while but if you are starting fresh, SEO is your only hope to come in limelight (SERP) and generate traffic for your website or blog. Anything you do, but make sure you are not violating any special SEO rules to rank your site as in worst case scenario it can result in banning of your site from major search engines. We are in WordPress (themes and plugin) development since past 8 years. We design beautiful & responsive WordPress themes and plugins. We have a team of 16 passionate IT-Engineers.